Before I relay my first experience with the Brownies I want to establish my reasoning as to why I volunteered for the Brownies. First, as a child while in elementary school I always wanted to join an organization like the girl scouts; except I really wanted to join the boy scouts because they were allowed to go camping, however because of the lack of financial support this was never possible for me. Second, I have already decided in the past that a career in the field of children is not for me, but I wanted to give it one last go before I shut the door. Third, one of my flat mates is currently working with the Norwich Brownies, therefore making it easier for me to volunteer somewhere new. Which reason impelled me to volunteer with the Brownies more I can not say. The truth is they were all equal factors. My first time volunteering with the Brownies was five hours. Now before you label me a horrible blogger by not providing any pictures I have to say in my defense that it is illegal (I really am unsure if there is a decree specifically saying this) for me to take pictures of minors in England. 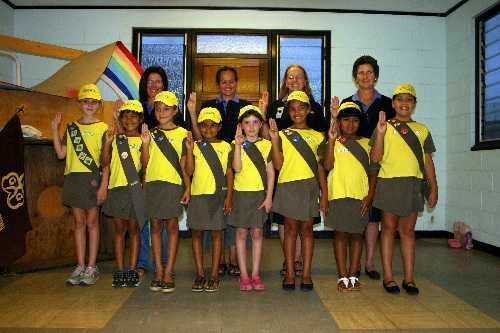 In any case of its legality I was asked not to do it by the leaders of the Brownie pack. Now back to my experience, we (my flat mate Vicky and I) arrived at St. Thomas’ Church Hall around quarter past 5. Upon my arrival I was informed that the theme for the day was Chinese New Year’s. By 5:45 pm the Brownies began to arrive. Most if not all were wearing their traditional uniform of yellow shirt with brown bottoms and a brown sash that contained all their badges. As they trickled in and ran around they reminded me of the Munchkins. From then on I referred to them collectively as the Brownie Munchkins. I was caught off guard when the then leader Debbie “Brown Owl” asked me to form part of the circle to commence the session. Before I knew it the Brownie Munchkins began to line up form arches and skip around singing their Brownie pack song. Now if you know me, you would know that singing, skipping, and doing all sorts of girly stuff is not in my nature. However, I rolled with the event nonetheless as I was there to help. Next came the theme stuff, otherwise known as celebration of the Chinese New Year. In order to celebrate the Chinese New Year the Brownies were to construct lanterns out of paper, write their name in Chinese characters, followed by egg fried rice. As you can guess the organization of the day was as stereotypical as you can get. There was no mention as to why the Chinese New Year occurs on a different day every year, or different from our new year for that matter. The answer is that the Chinese mark the year in a lunar-solar system, and therefore the New Year happens on the 11th month or two new moons after the winter solstice. Besides, the girls not really learning anything about the Chinese culture on such an important day they had fun. It was definitely a success that none ended with their fingers stuck together. By half 7 we were done and heading home. The other half of my volunteer work took place on Sunday morning mass in St. Thomas’ Church, to which only three Brownies made it. London A Green Space?? Really?? 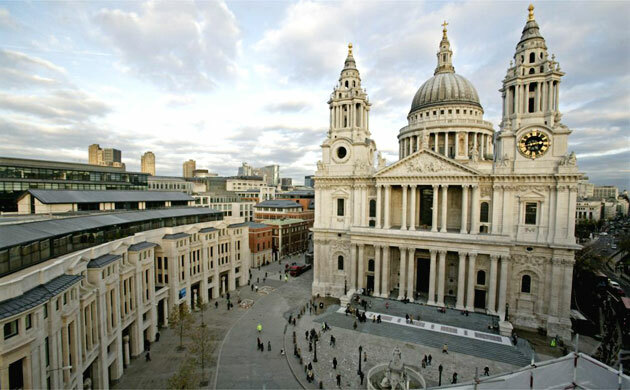 London is always described as a global city, a city of history, a city of movement. I have never heard it being described as a city of green space. So I was completely thrown off when I saw the number and magnitude of parks in the city. Literally in every community there is a park whether it’s a well off neighborhood or a less developed neighborhood; it has a park. In Los Angeles, specifically in the area I live in there are hardly any parks or any parks that you really want to go to. Thus, it was a complete shock seeing such a populated city with so many parks that range in a variety of sizes and functions. The biggest that I have seen by far is Hyde Park. Hyde Park is right next to Buckingham Palace, making its size very logical. 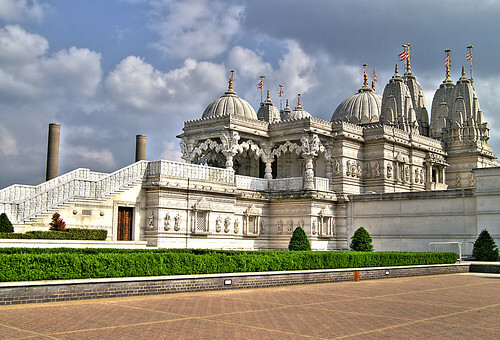 Its scenery ranges from fountains surrounded by beautifully well kept flower beds to fields and fields of grass and trees. This park is obviously surrounded by a lot of money to keep up its appearance as well as it is kept. Around the area we are currently dwelling in, Russell Square is on a significantly smaller scale than Hyde Park but it is likewise surrounded by a well off community. The park is always well kept and sometimes sealed off to the public making access only available to those who live in the square. The park is used by children, yoga instructors, and readers in general. Overall there is a stark difference between life within this park and the surrounding fast pace community. It almost seemed that they have brought the suburb to the city. Not all parks look as amazing as Hyde Park or Russell Square. In the East End, a community that is largely composed of immigrants from Bangladesh also have a community park, called Altab Ali Park. This park was the first I had seen at the time in London that was commemorating someone rather than being named after its location. Altab Ali was a young 25 year old Bangladeshi clothing worker who was murdered by three white teenage boys on his way home. Just learning about the nature of the name of the park gives you a different feeling about the surrounding community. The community in the East End is tightly knit but it is not necessarily based on their income but rather a form of protection to their neighbors. This park unlike the others is visibly un-kept and run down, a complete difference to those I have mentioned before. So even within British society I see that with money comes political power, sad but true. A Place to Convene, A Place to Ponder… Are you really talking about a Pub? 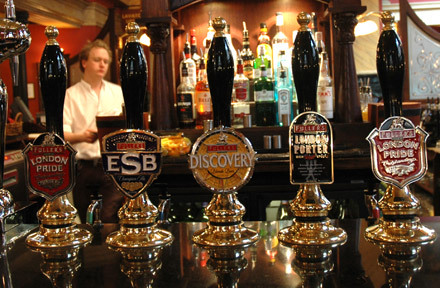 We were asked by our professor to investigate the culture and society that revolves within and around pubs in London. I honestly think he didn’t even have to require us to do it; we did it instinctively. But nevertheless I did what I was asked to do grudgingly, just kidding, I definitely did it willingly. And what I found in my short experience with pubs was that to the British or Londoners in general the pub is the equivalent of the American coffee shop with just a little more pizzazz. Since our first day in London we have been to a variety of Pubs ranging from overtly tourist pubs to a bit more native pubs. In all the pubs that I visited there is a sense of privacy. Some people who have just gotten off of work go to pubs with co-workers discussing the day’s events over a pint. Others go to pubs alone seeking a sense of solitude to relieve some of the stress. Yet, others attend a pub to see the playing field pick up on someone and maybe have a good night. That is why drinking in the United Kingdom has a largely different connotation to that of the United States. I believe it has more of a positive air than back home. Yes like any other place there are alcoholics here but the majority that I have seen are able to compose themselves and carry on with life. I definitely had to learn a couple of things when it came to ordering drinks and food at pubs. I first had to learn that customer service in the UK is virtually non-existent. Second there are no waiters what so ever, you go to the bar and order for yourself. Third and this is the most important part, you have to KNOW WHAT YOU WANT BEFORE YOU REACH THE BAR. If you fail at any of these three unwritten guidelines there is no ale for you. Considering I am a fast decision maker I had no trouble with this but I have definitely seen people get some glares of annoyance when they reach the bar and hold up the line. As George Orwell wrote in his essay entitled The Moon Under Water, people favor not over the beer that they sell or the furniture they but instead its based upon what they call “atmosphere”. From the pubs I have been to my favorite by far has got to be the Marlborough Arms. What makes this my favorite from all the other pubs I have been is based on two aspects. The first is simply that I have been there so many times the staff already knows me and they crack jokes with me. It makes me feel like I am part of the establishment and above all makes me feel welcomed. And second they always, always have the best selection of American music. They play music that I haven’t heard in years. The place just simply lifts up my mood. Pubs have been a place for people of diverging backgrounds to convene and have in depth conversations of life, politics, and religion. This has been true of London in the past where great minds discussed the status of the general welfare, like Karl Marx, and it is still true today. I have grown to love and appreciate the pub scene in London, and I look for forward to this next year. The Creativity Of London At Its Best…. Back home it never sounded appealing or entertaining to me to see people run around in less than a 30ft area singing and jumping. Much less did I find the price tags of theater plays appealing, with prices generally starting at $100. Therefore, it is safe to assume that beyond school functions I had never seen a professional theater play in America. That all changed, however, the minute I landed in London. In England people generally value art and the art of performance itself a lot more than in the United States. In the United States for example a performance always has to be entertaining above all this I feel has lowered the quality of shows. In England the people will continually go see a play even if the ending does not leave you with that warm fuzzy feeling and example of which is Billy Elliot. My experience with plays here in London began with none other than William Shakespeare’s the Merry Wives of Windsor. It was a very good production, but it did not leave me with a feeling of must go see more plays. 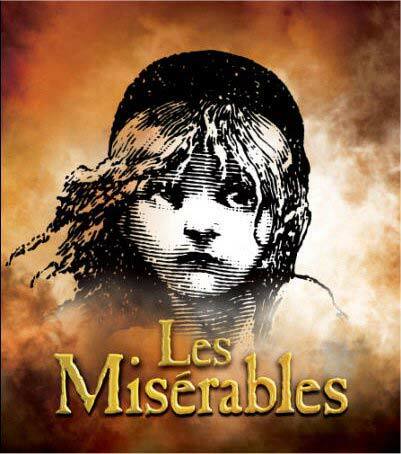 My second experience was Les Miserables. This show was not a required viewing by my professor but instead I decided to go with a large group of people from my program. I have always heard such good things about Les Miserables I had to just go see it. What a good decision that was. For only £15 or ($22) I not only got one of the best vocal performances I have ever seen, but I was given a political message throughout the storyline. In just 30 ft of limited space a group of 25 people were able to show me all of that. I was sold on the idea of theatre; I finally understand it and am now so willing to go to more. To this point in time Les Miserables is my favorite play. After this show the group switched gears and went to see a show called 39 Steps; which although it was set in the time period leading up to World War II it turned out to be a comedy. The cast of this show was only a whopping 4 people. Props were limited and the space even smaller than before. These people, however, were able to not only make me laugh but make it seem that they had gone to the country side, on a train, in a manor, and in an apartment. It was amazing, the creativity of such a production. The last show we have seen was The Habit of Art, this show like the one before was also a comedy. The organization of the show was a play within a play, like a behind the scenes movie. The messages from the show and social commentary were surprisingly dead on with what I believe. If there is one thing these shows have taught me is to definitely be willing to go to performances that are little known because sometimes they will be some the best times you’ll have. The last aspect I noted in all these viewings was the type of audience they all have. Unlike America since the price of shows in London are significantly more accessible the class range of people who attend is astronomically different than back home. I also saw more of the younger generations attend shows here rather than the typical Grandma taking their kids to the show. The only type of people I didn’t notice, which could have been a result of bad observations on my part, was people of non-british backgrounds. Overall my experience with the theatre in London has been extremely positive and I only look forward to expand my horizons by possibly going to see Operas like La Boheme.